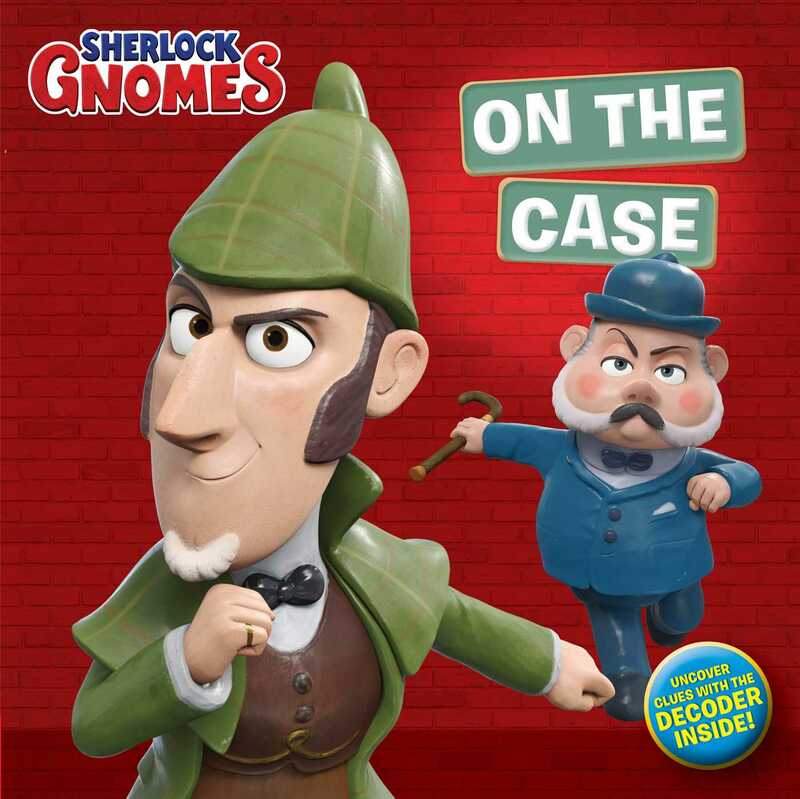 Join Gnomeo, Juliet, and renowned detective Sherlock Gnomes to solve puzzles, uncover clues, and more in this novelty storybook based on the upcoming film, Sherlock Gnomes, that includes an awesome decoder! Paramount Animation’s Sherlock Gnomes—starring Johnny Depp, Emily Blunt, and James McAvoy—bursts into theaters on March 23, 2018! Garden gnomes, Gnomeo & Juliet, follow renowned detective, Sherlock Gnomes, as he investigates the mysterious disappearance of other garden ornaments in this hilarious novelty storybook based on the sequel to the hit film Gnomeo & Juliet. Kids are sure to love using the decoder to uncover clues, solve puzzles, and decipher hidden messages on coded pages in this fun, interactive book.